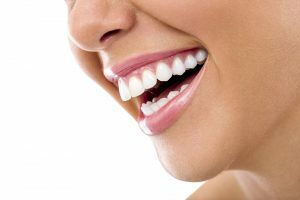 Could be the solution for your gums health. Your dentist has diagnosed you as having periodontal disease or gum disease. This is an infection of bone and supporting structures of your teeth. Before 30 years of age, decay is the major reason for tooth loss and after 30 years of age, gum disease is the major reason for tooth loss. It is estimated that over 80 percent of the adult population has gum disease to one degree or another. 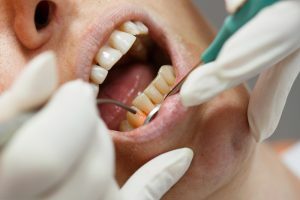 Periodontal bacteria can cause an inflammatory reaction which leads to construction of fibers that connect teeth to bone and can create a space that dentist and hygienists call a periodontal pocket. While everyone has some amount of pocketing the normal depths are 1-3 mm. You can keep 3 mm or less pockets clean by yourself with routine brushing, flossing and rinsing. However in your situation you have pockets that are deeper than 3 mm and it is impossible for you to clean and maintain them. As a result you have debris and bacteria living at the bottom of these pockets which has led to chronic gum infection, you may have noticed a bad taste or odor in your mouth at times from these infections. As we age we become more susceptible to periodontal bacteria and lack of proper hygiene or cleaning is another reason for periodontal disease. Without treatment your teeth will lose enough support to become loose and painful and will eventually be lost. 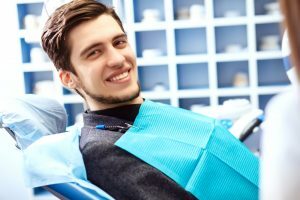 Your dentist has recommended a conservative non-surgical treatment for your periodontal disease. With proper home care and your participation, this procedure can often alleviate the problem. 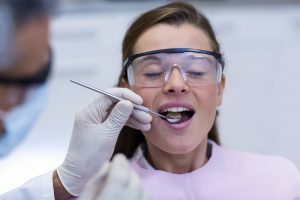 Your dentist or hygienist will go around each involved tooth to remove any debris and calcified deposits that are adhering to your teeth in a process called scaling and root planning. A good analogy to this part of the cleaning is like removing barnacles off of a pier. Scaling and root planning will remove the mechanical irritants to your gums and supporting bone and also removes a major reservoir of periodontal bacteria. After removing the tartar and calculus a laser is used to selectively remove diseased or infected tissues lining the pockets round your teeth. At the same time the laser will kill the bacteria that cause your gum disease and promote healing of your gums around your teeth. Some lasers can help increase circulation and collagen formation at the bottom of your periodontal pockets and help revive or rejuvenate your attachment. This specialized treatment is usually performed multiple times over a period of a few weeks. Lasers have been in use in medicine and dentistry for many years. The FDA has approved the use of lasers for many dental procedures including those discussed in this pamphlet. Why is laser a better choice? Lasers are used because of the precise control they afford the dentist and the comfort they provide to patients. Lasers perform many functions at once. Not only can a laser remove tissue but it can also be used to seal blood vessels and nerve endings, reducing bleeding and postoperative pain and swelling. Dentists and patients also appreciate that many times a laser may be used with minimal or no anesthetic. Nancy grew up in Carlsbad, where her parents still live today. She became a dental assistant 30+ years ago and has used that foundation to further her career in the dental field. She worked as a consultant traveling around the United States and Canada teaching dental offices how to provided excellent customer care and how to make the biggest impact in their communities. She recently left consulting to work at our practice and brings so much knowledge and experience. She has many years of experience handling insurance billing and she can answer any of your questions. Nancy has 3 kids and 3 grandchildren who all live locally. She volunteers at her church and loves to spend time with her to dogs, Beau Duke and Luke Duke. What about damage to my eyes?